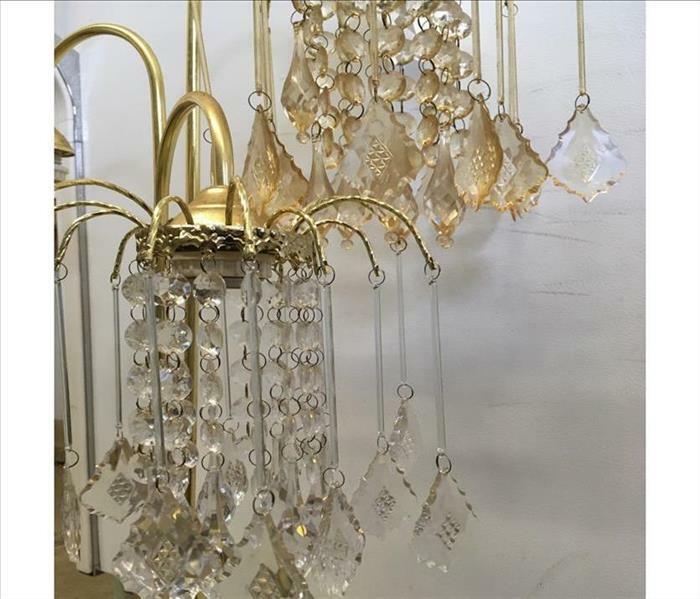 Following a house fire sourced by their outside grill, this Ravenna, OH home had SERVPRO of Canton restore their contents, including these crystals for an antique floor lamp. Demonstrated side by side in the attached image, you can see the yellowish color to the crystals not yet cleaned and the luminescent silver and clear crystals restored. The homeowners were ecstatic with their contents upon return. 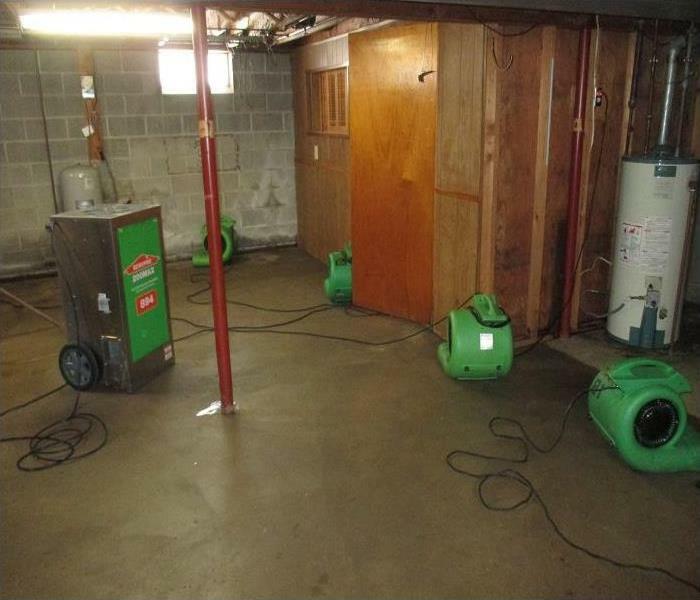 Following a severe storm passing through Summit County, this Hudson family suffered from a failed sump pump, a flooded basement, lost power for over a day, as well as mold damage, found during the treating process. SERVPRO of Canton treated this family's home as well as helped other local homeowners whom were affected by this storm. An apartment complex in Ravenna, OH ignited when a tenant began cooking in his kitchen. SERVPRO of Canton responded after several units were damaged by the fire and smoke. 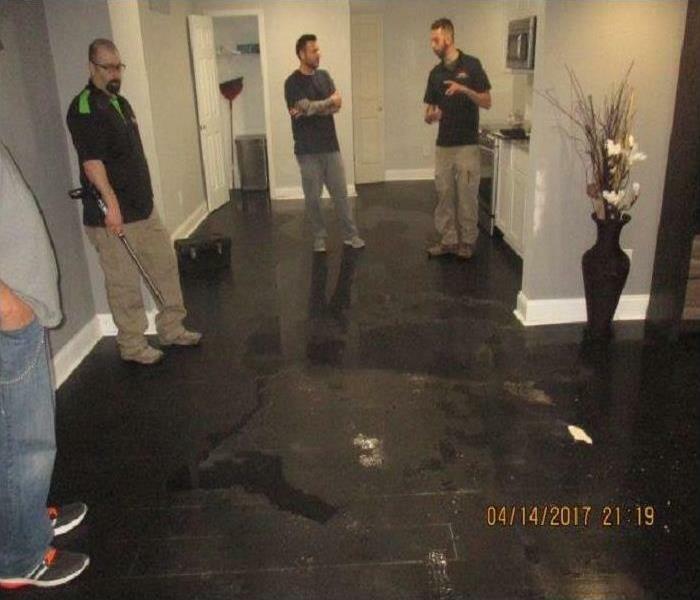 Several tenants were displaced from their units and SERVPRO immediately started emergency services in order to have the tenants return to their normal routine. Mold infestation in this Rocky River home bathroom began as the grout between the shower's back-splash tiles deteriorated. 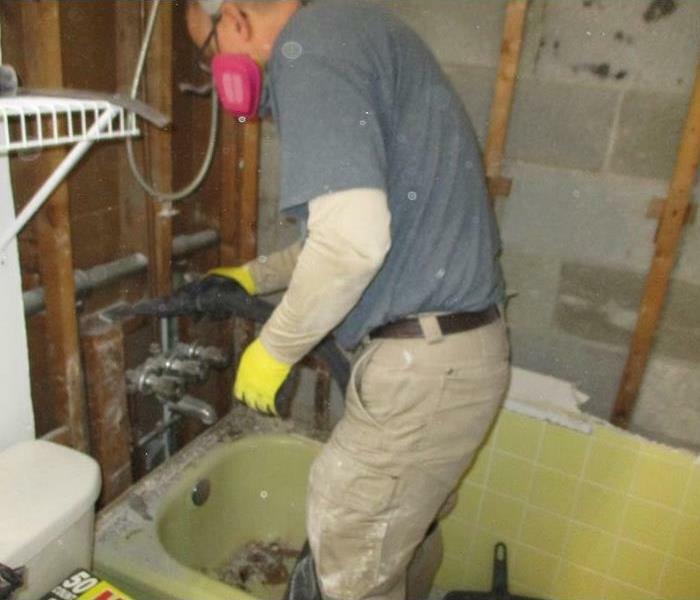 Water managed to get behind the dry wall and around and underneath the tub, creating a necessary demolition of the back-splash, as demonstrated in the image provided, to provide treatment to the affected areas. Due to a significant kitchen sink overflow saturating the cabinets beneath it and spilling into the basement, SERVPRO of Canton was called for restoration of the damaged areas. The homeowner was pleased with our work and, in the customer satisfaction survey, stated "Only call SERVPRO. Tony, Daniel and all- WONDERFUL." Our team was pleased to provide assistance through the stressful time. As shown in the image above, a Hudson family experienced severe water damage after a storm passed over the area. Several families in the area were affected and SERVPRO of Canton was there to help the community. During commute, a food company's boxed material was placed into a damp environment, allowing mold to grow. 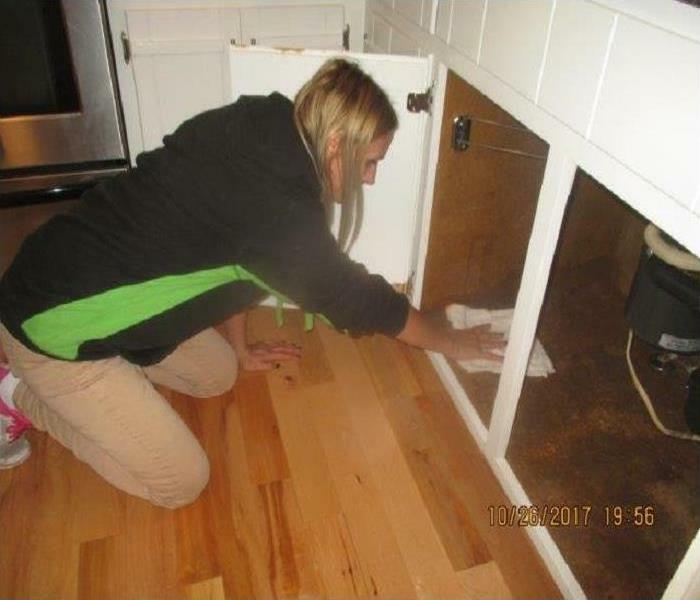 Professional help was needed to remove the infested content avoiding cross-contamination, thus seeking SERVPRO of Canton's assistance. After tossing ashes into a garbage can housed in the garage, this resident's property and neighboring properties were severely fire damaged. 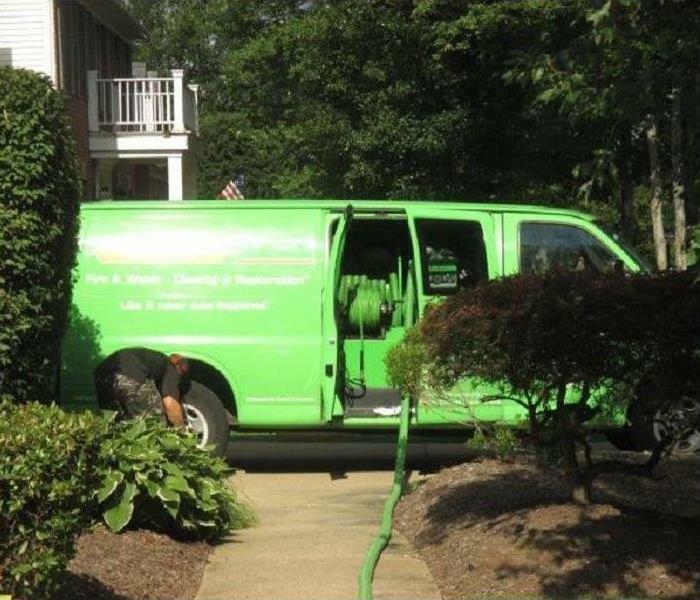 SERVPRO of Canton was called and worked day and night to restore the homes of those affected. 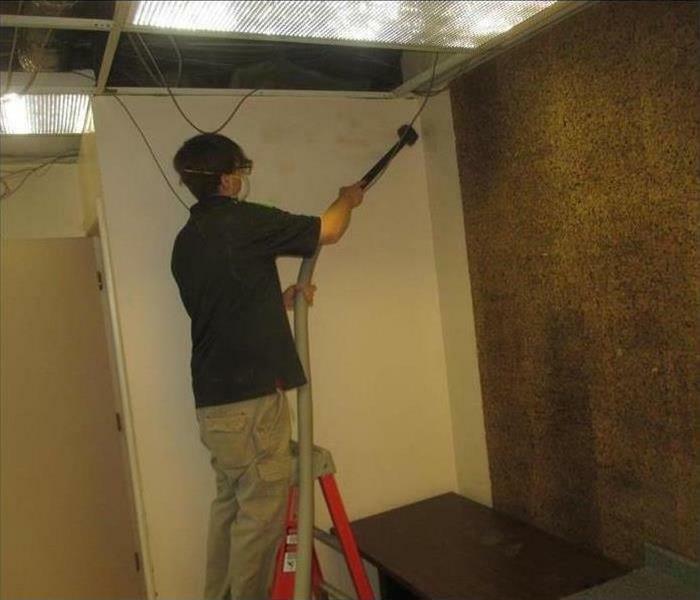 This particular job had debris from a roofing repair damage the interior of the office building. SERVPRO of Northern Summit County was needed for structural and content cleaning as well as reconstruction of the ceiling tiles. A fire loss took a whole corner of a Canton family's home when the grill sat too close to the house. 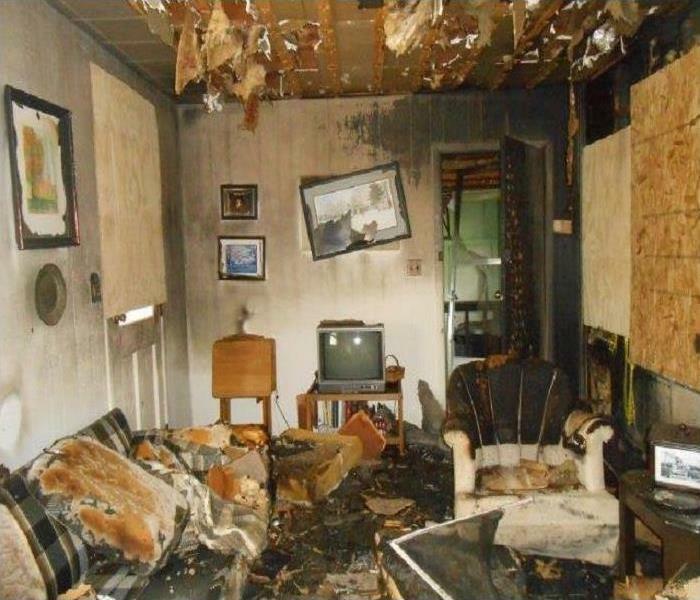 It’s always devastating when a family experiences a house fire, but SERVPRO of Canton worked hard to recover the structure and contents, removing the soot and the smell of smoke from the home. Hot smoke migrates to cooler areas and upper levels of a structure. It flows around plumbing systems, seeping through the holes used by pipes to go from floor to floor. The type of smoke may greatly affect the restoration process. We were able to restore the structure and contents of the home and remove the soot and the smell of smoke. 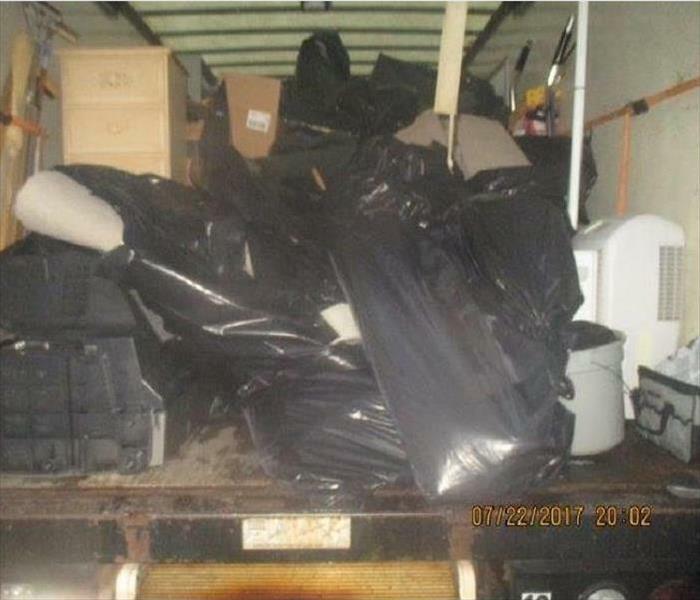 After a fire caused by a laundry dryer, SERVPRO of Canton was called to a Mayfield hotel site to restore the contents and structure of affected areas. 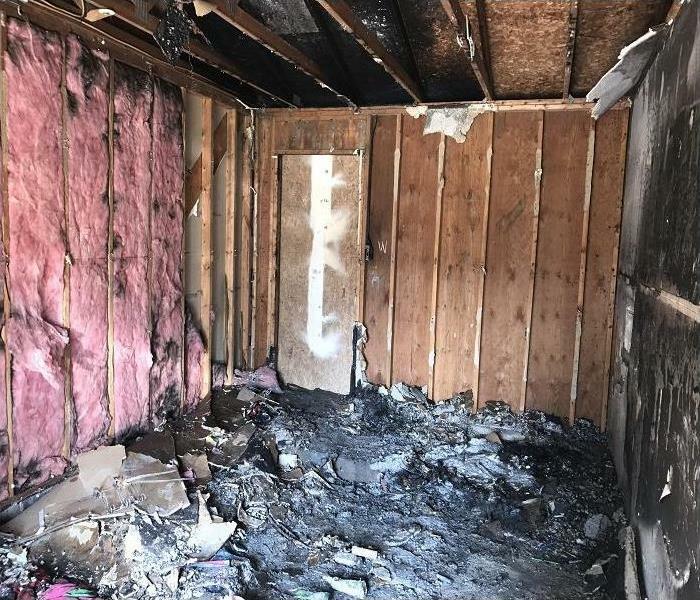 Resulting from an electric fire, this Brecksville home needed five windows boarded up as well as SERVPRO of Canton to recover the structure and contents, removing the soot and the smell of smoke from the home. After a recent storm, a local store discovers mold in the HVAC system. A site inspection and mold testing took place. Mold spores thrive on moisture. They can produce allergens and irritants that have the potential to cause other health effects, which is why it is highly recommended to have the environment treated before further growth. Following a storm, this Akron homeowner calls upon SERVPRO of Canton to help restore the home.We are dedicated to responding immediately to water emergencies. A fast response lessens the damage, limits further damage, and reduces cost. 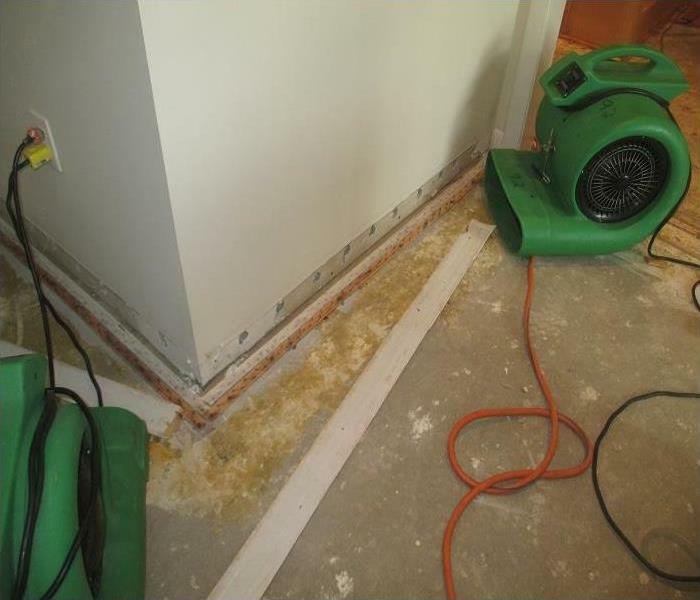 After a storm floods a home, water damage restoration is needed by SERVPRO of Portage County. The discovery of mold hidden behind drywall lead to further mitigation using our advanced cleaning equipment. A Hudson, OH resident requested SERVPRO of Canton for water mitigation services following a heavy storm. Our advanced equipment, demonstrated above, was needed for quick extraction of standing water. Homeowners were pleased with with the response time. After a fire suppression system accidentally discharged in a manufacturing plant, operations were temporarily suspended until the damage could be remediated. SERVPRO came to the rescue and had them back in business within two days. The customer was very pleased with our thorough and efficient job and upon completing their satisfaction survey, commented "great job!" 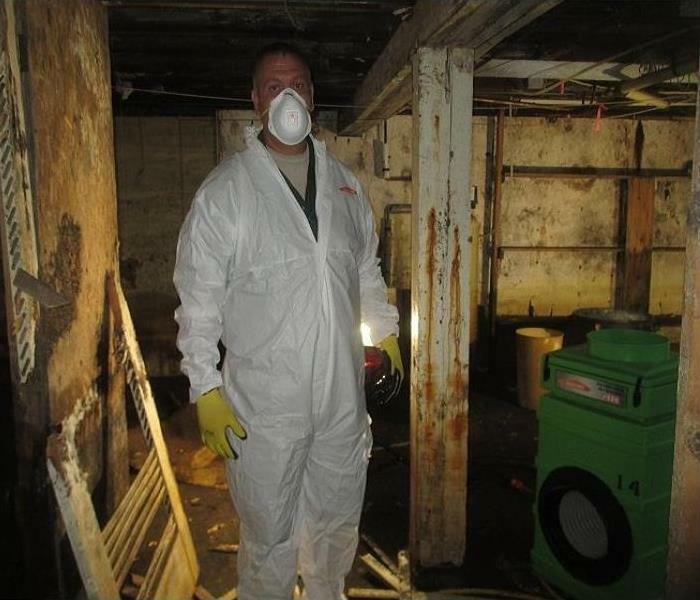 An unfortunate Cuyahoga Falls business calls SERVPRO to clean a biohazard area. Our biohazard cleaning process not only removes the hazardous material but also leaves the structure clean and disinfected. Our biohazard services include blood, body fluids and body matter from both human and animal sources. A church in Twinsburg, OH discovered extensive microbial growth under the floors of the sanctuary. Believe it or not, mold problems like this can be mitigated with the right expertise and equipment. 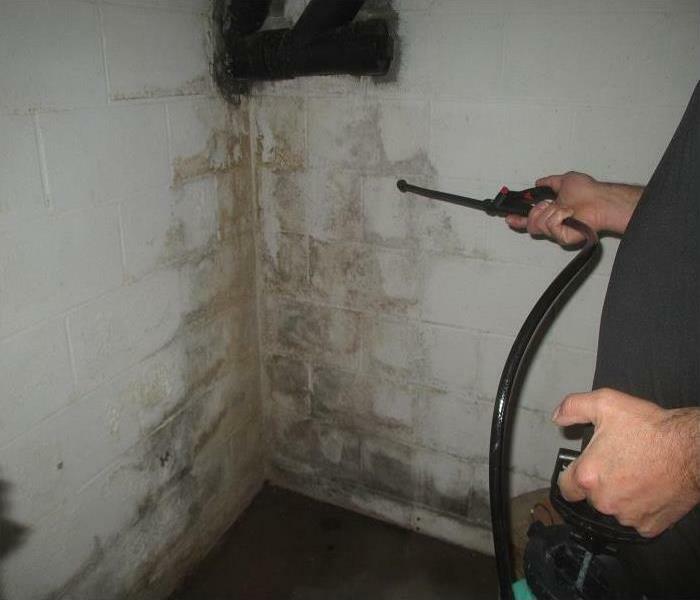 SERVPRO of Canton has trained technicians that were able to test and remove the mold growth, and then restore the space to preloss conditions. SERVPRO of Canton responded to a mold infestation call, treating the walls 1-foot up and removing all carpeting. We respond 24/7 to your fire, water, and mold damage cleanup needs. 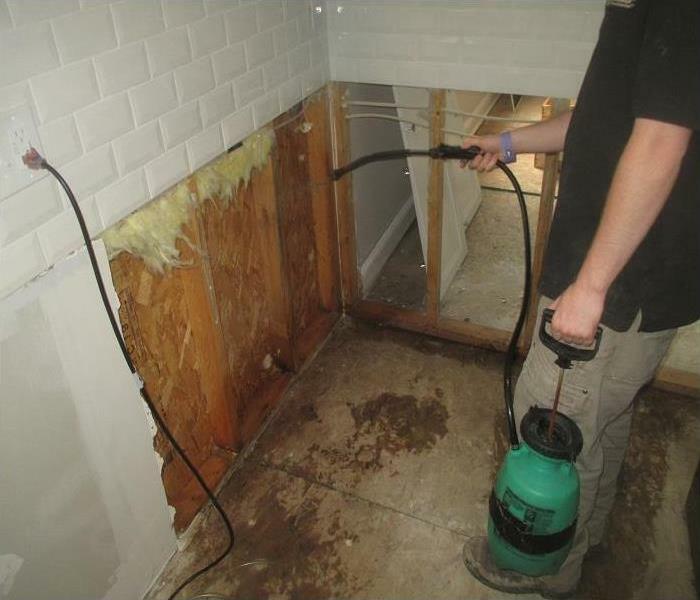 After a sump pump failure, the flooded basement acquires much mold damage to the drywall, requiring walls to be removed for treatment and drying. 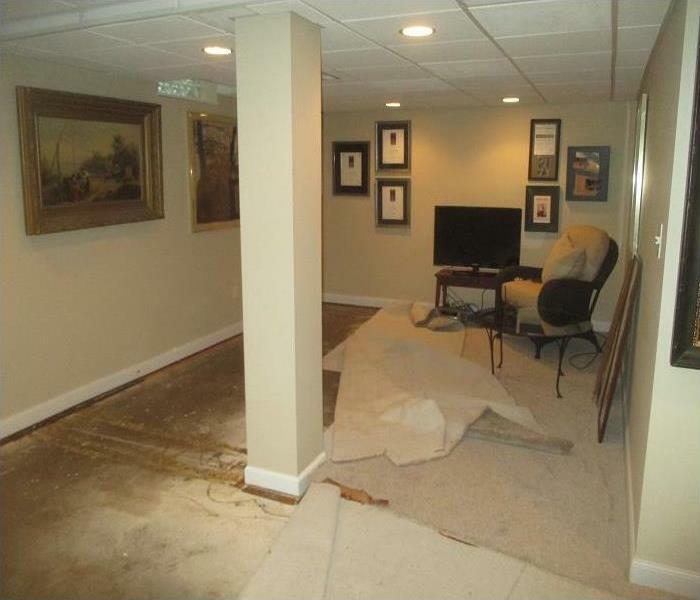 This Kent, OH family discovered extensive microbial growth in their home after a sump pump failure, flooding their basement. Mold problems like this can be mitigated with the right expertise and equipment. Resulting from storm and water damage, a family's Mantua home requires serious mold mitigation in addition to water damage treatment. Mold can cause health problems, requiring protective gear demonstrated in the image above, and can also cause significant damage to your property if not treated properly. Within minutes, an Aurora office building had saturated flooring due to a hot water tank leakage. 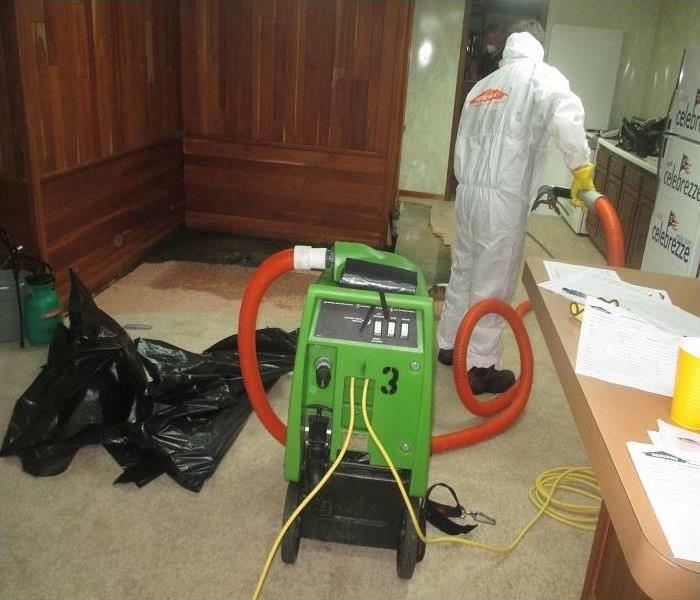 SERVPRO of Portage County arrived almost immediately to begin the extraction process to minimize the damage and cleaning and restoration costs. 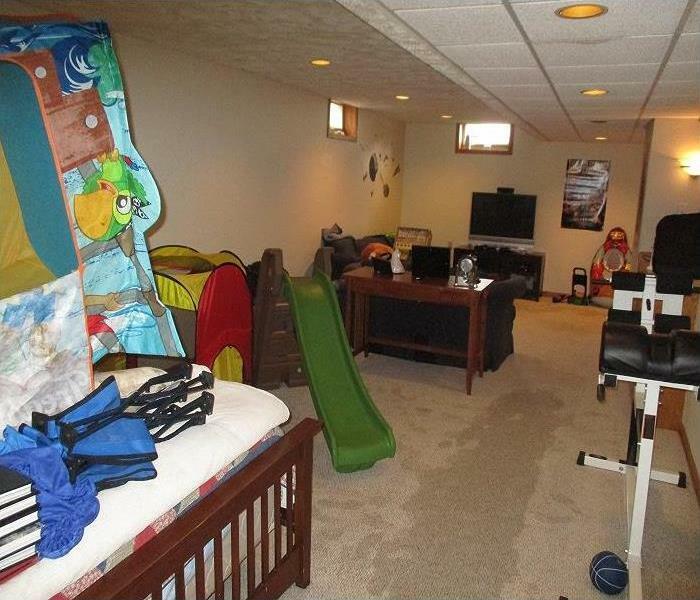 Following a drain backup, this family’s Brecksville home had serious water damage in their lower level recreation room and bathroom. Using our advanced equipment, demonstrated above, we removed the sewage and affected areas such as carpeting, drywall and contents. Treatment followed this process, leaving the area in a preloss state as promised. Not only is the structure of the home damaged from a water loss, but contents are at risk also. The contents shown above are un-salvageable contents, meaning they cannot be restored due to the extent of damage caused by water. A water pipe broke in an Akron home, causing serious water damage to the kitchen and surrounding rooms. Hardwood flooring and carpeting including damaged areas on the wall were torn out for the drying stage- drying equipment is shown above. Did you know that SERVPRO offers reconstruction services? Whether you are looking to put your home or business back together after a loss or are considering a kitchen, basement, or other remodel, we can help. 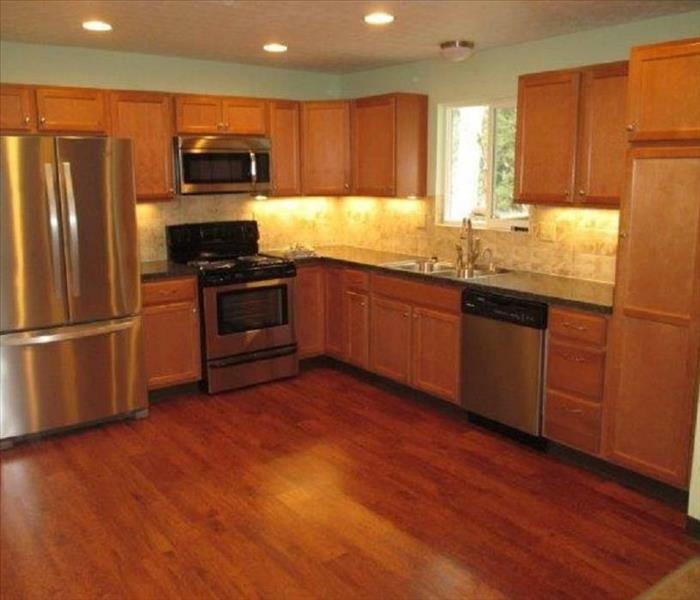 Take a look at this kitchen remodel that SERVPRO recently completed! Some losses pose potential health hazards and can require professional expertise to safely mitigate. 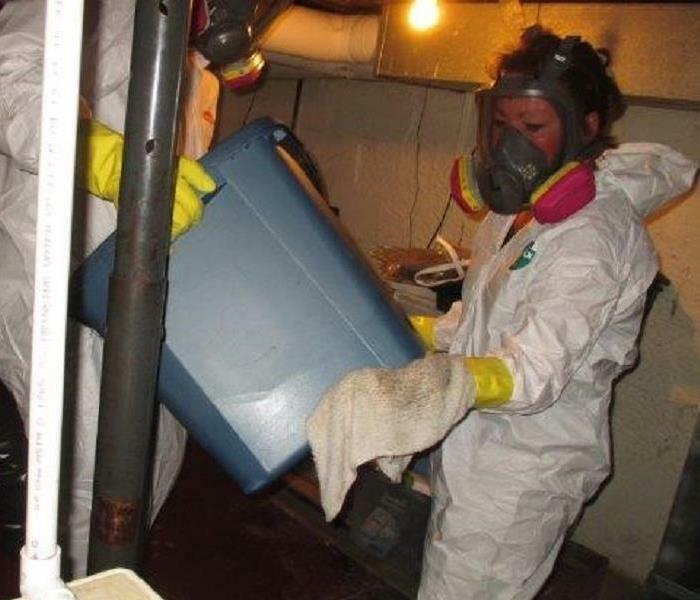 Our crew is trained to handle trauma and biohazard scenes, hoarding situations, animal feces and urine, mold, sewage, and other potentially hazardous losses. Sometimes after a water loss, elevated levels of moisture can be present in structural materials even when they appear to be dry. This can lead to mold damage down the line. We have tools to measure moisture levels in your home and monitor drying progress. If you have had a leak, pipe break, or other water loss at your home, we can help you to assess the loss and properly mitigate it. 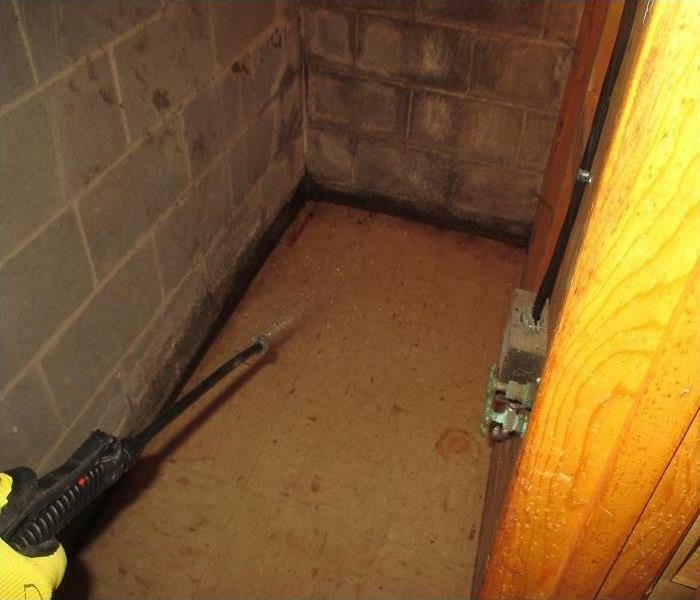 We tackle water and mold issues even in challenging areas. From attics to crawl spaces, we have the tools, equipment, and team to get even the tough-to-reach places in your home clean and healthy. If you have an emergency at your office, business, or commercial facility, we are here to help. From small-scale cleanups to large commercial projects, we have the resources and staff to help your business minimize the damage and get back to normal quickly. Our talented field crew, office staff, and highly qualified managers have the training and expertise to respond with speed and efficiency to water damage, fire emergencies, and biohazard and mold cleanup.